Shape Flexer sent me their cool new sunhat! If you are fair and need a way to keep from burning, we may have found it. 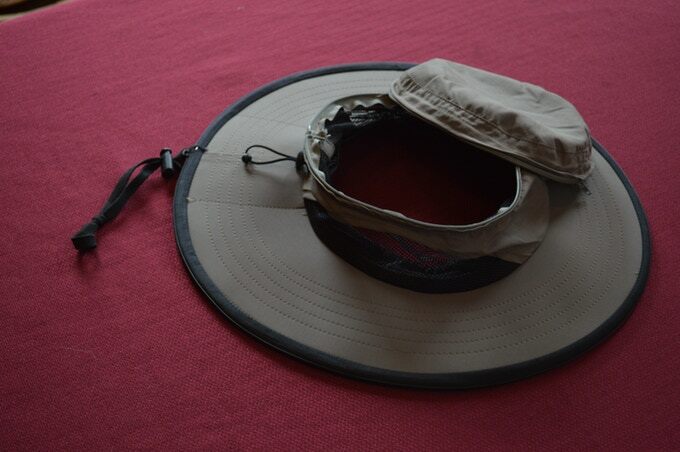 It weights .6 lbs (272 grams) and has a UPF of 50+ (crown, brim, and cape). Hats drive me crazy, but Mr. Crazy life LOVES this hat! Being fair skinned, sun protection is a must. 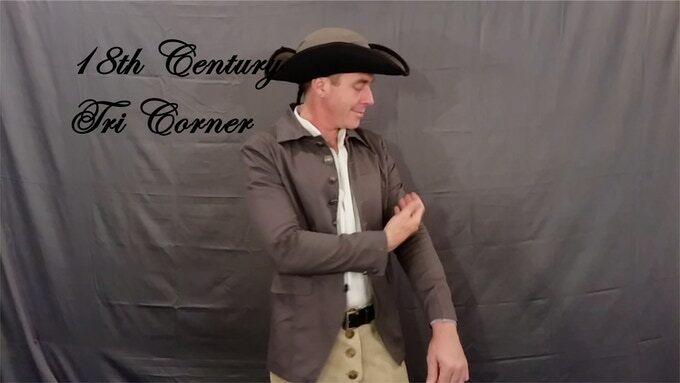 ShapeFlexer Back cape at your disposal! 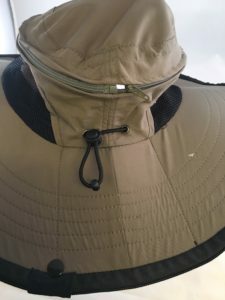 Sunhats that only have a neck cape to protect the back of the neck can be a huge pain. This one is easily pulled out if you find yourself needing one at any time. 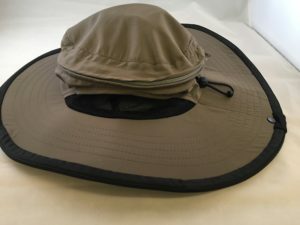 The Shape Flexer Brim will not fold or flop in wind up to 65mph/105 kph. WOW! Luckily we don’t have that in the pacific NW. 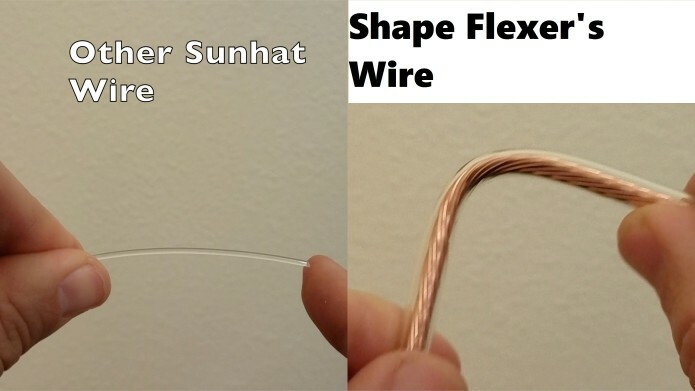 Other Sunhat wires don’t compare to ShapeFlexer! 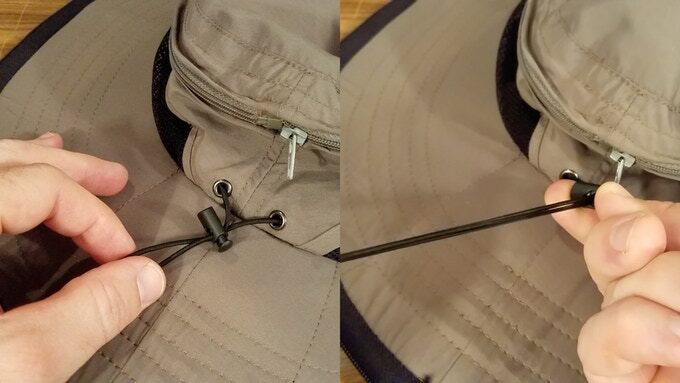 Shape Flexer’s Superior Brim Wire – Most sunhats don’t come with a wire in the brim. If they do, its very thin and flimsy. 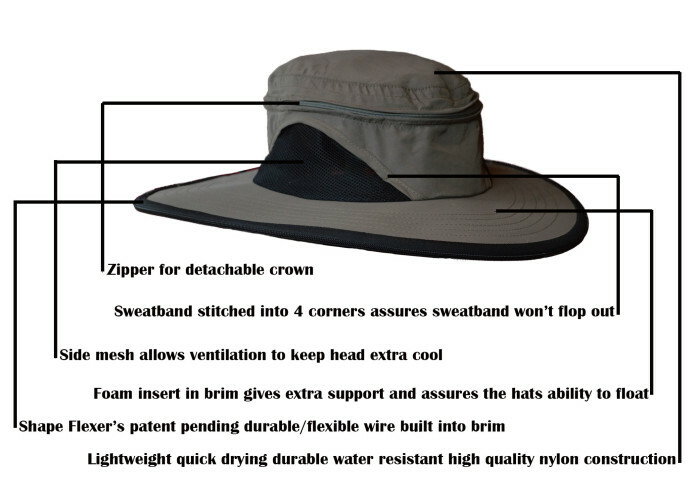 The Shape Flexer has a patent pending, thick, shape-able, waterproof, durable wire built into the brim. Zip Off ShapeFlexer Crown – great for ponytails! 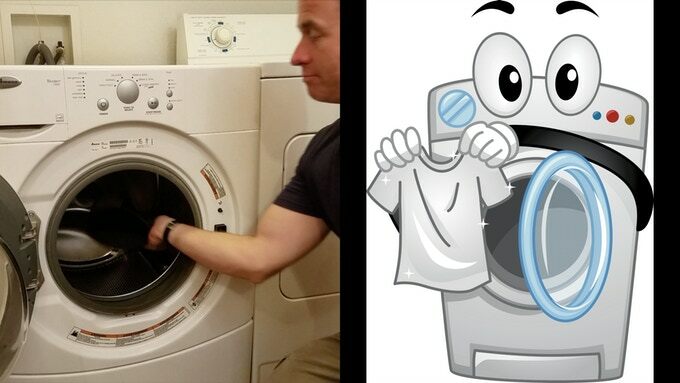 Clean it in a Flash! 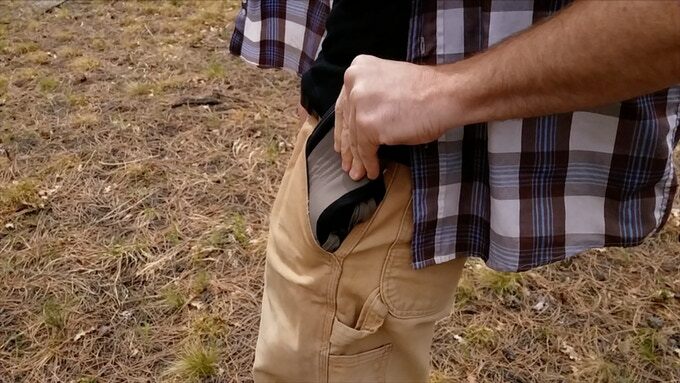 Fit it into a pocket! Easily fold the Shape Flexer in half twice. Easy! 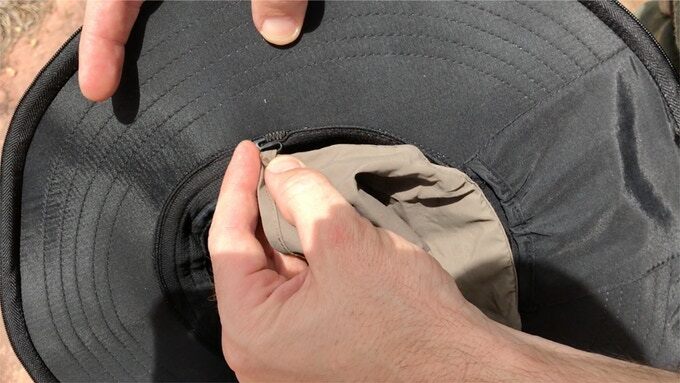 The Shape Flexer‘s sweatband is sewn in at four points to keep it IN the hat where it belongs. PLEASE don’t be scared off by the shipping cost for one hat. I realize it’s high, but look at the shipping cost for 2, 3, or 4 hats. 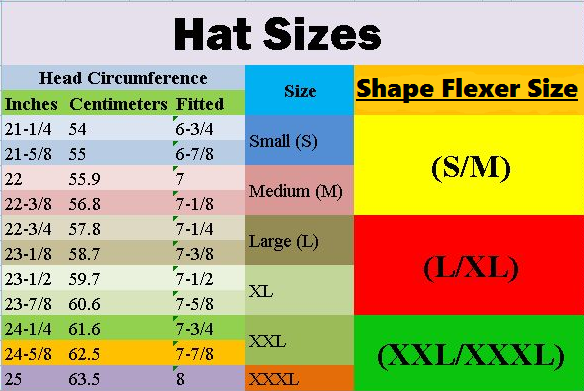 You will find the shipping price per hat for multiple hats is MUCH LOWER than the price for one. I recommend making a pledge with friends or family, or getting extra Shape Flexers as gifts to bring the shipping price down. 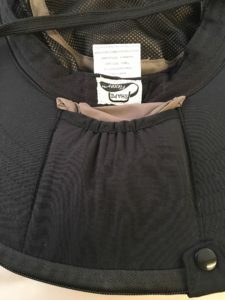 In addition to the color neutral “Original Adventure Blend” (named as such because it’s a mix of Khaki, Grey, Green, and Brown), you can choose a “Sahara Khaki” or a “Dark Charcoal Grey”. 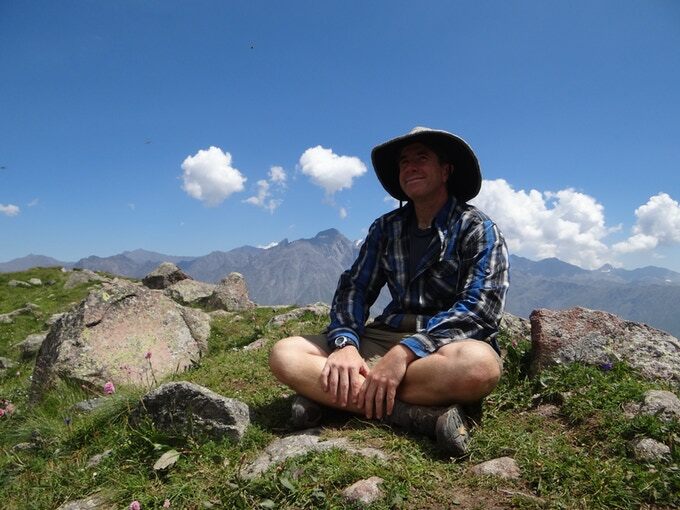 One of my biggest motivations in using crowdfunding for this project is that I’m passionate about promoting others to get outside, get active, and get their eyes off of the screens we’re all addicted to (at least for a while). It seems to me that the majority of popular crowdfunding projects involve how technology can improve our lives, specifically with smart phones (better ways to look at them, carry them, charge them, new apps for them, etc). As great as that can be, I’m excited to contribute something to the world that can motivate people to get away from technology (at least briefly) and give them more incentive to SEE their amazing world. 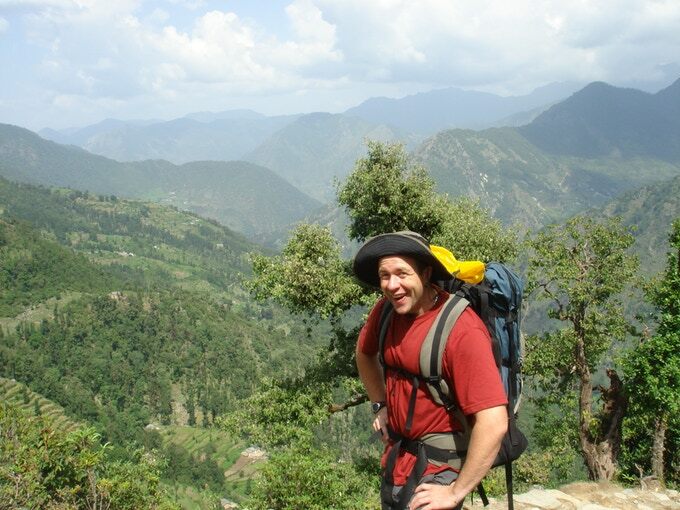 I’ve traveled all around this fantastic planet of ours for several years on numerous mammoth backpacking trips lasting from 3 months to 12 months, and have visited 72 countries. 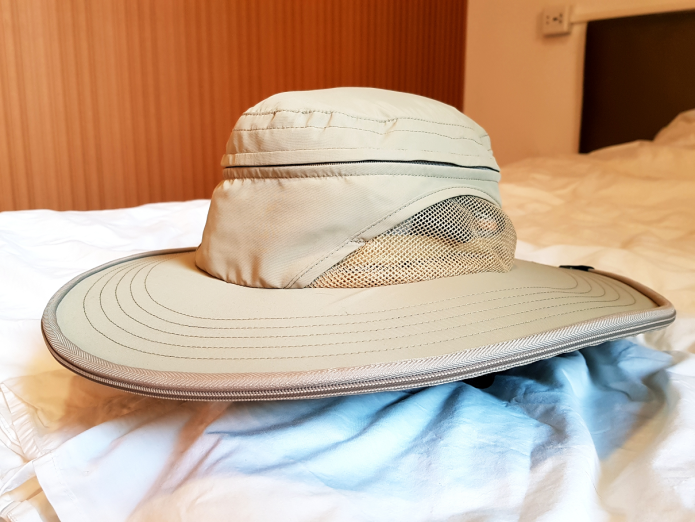 A sunhat was always an essential piece of equipment for me, and I always wondered why one was never made with a stiff yet shape-able brim (after all the challenges I’ve encountered in designing it, I can see why!). I ended up making several versions of the Shape Flexer for myself, improving it, and learning something new with each version. To which I could only respond “I made it,” to their disappointment. Earliest Version of the Shape Flexer in India 2006. I stitched a solid copper wire into the hat. It worked for a while, but broke after about 6 weeks of bending and folding. A later version of the Shape Flexer in the Caucasus mountains. 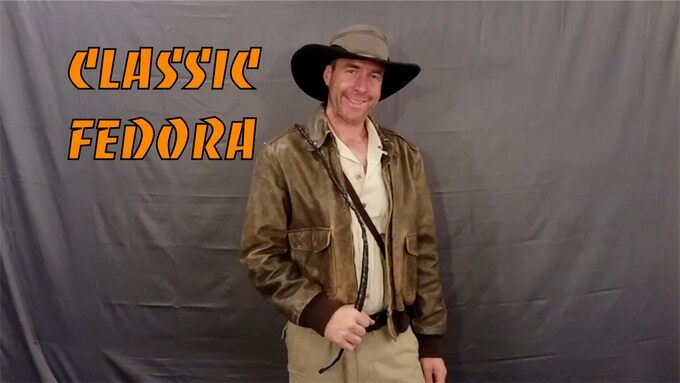 I used a rubber coated metal wire that I hand stitched in with dental floss for extra strength! 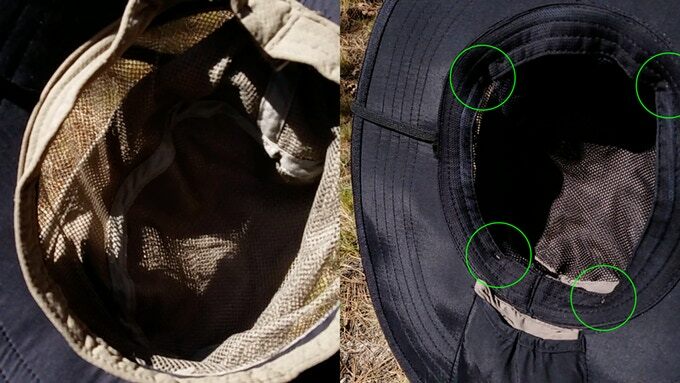 It lasted about for 7 months of constant use before breaking from the folding and bending. I’ve committed years of research and design (going back to the first incarnation in 2006!) to the Shape Flexer. I’ve tested dozens (if not hundreds) of types of wire and cable/coating combinations, working tirelessly to find the right combination that would last for several years without breaking. I took a six week overseas trip to hand pick colors, patterns, fabrics, and designs. I’ve commissioned the development of numerous prototypes that were not up to my extremely picky standards, and improved on each one. I scoured the U.S.A. for the best cable, wire, and plastic for months. 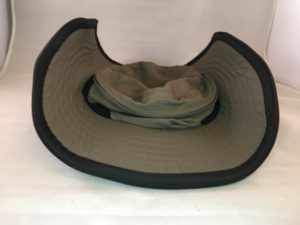 After all this, I designed what I honestly believe to be the best sunhat you’ll ever own. Up until now, I’ve used ONLY my own money and time to attempt to bring this to life. It’s not something I would have done if I didn’t believe in it. Everything from the costs of all prototypes, samples, wire, cable, plastic, research, the trip overseas, to the hundreds of hours I’ve devoted to the design at home and abroad, have all come from me alone. 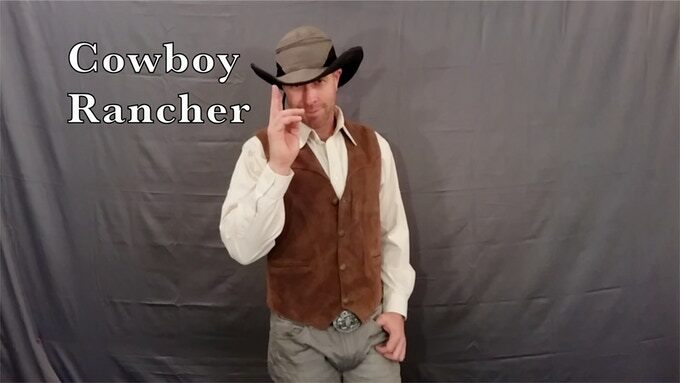 I even shot the video alone (with a day’s help from some friends to whom I am VERY grateful! ), edited the video 100% myself, and designed the logo on my own. Not to mention days and days in front of a computer screen learning about patent laws, trademark regulations, manufacturing, outdoor fabrics, and crowdfunding. I invested all this money, time, and energy because I truly believe in this product. I don’t have a team behind me. 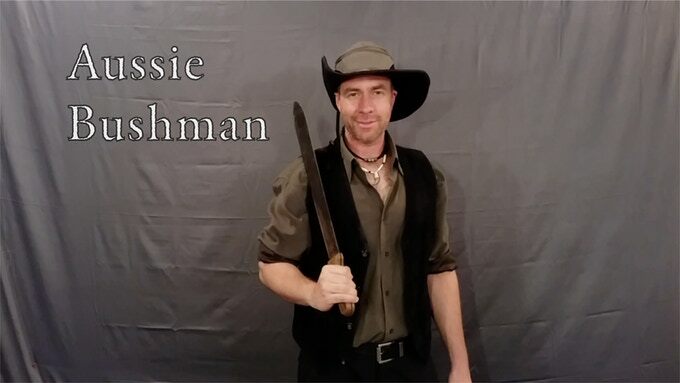 No professional web designers to make this Indiegogo page look amazing (I’m trying to make it look as professional as I can with my limited resources), no P. R. department, no photographers, no logistical team, no team of designers, no marketing directors, no digital team, no operations team, no communications manager, and no product testers. It’s all me. A one man show. I know this is a lot for one person to take on, but I’m up to the challenge. I’m ONE DETERMINED person with ONE FANTASTIC product that I’d like to share. I’m not an established company. Based on my observation, many companies don’t want to risk their own capital on launching a new product. So, they take the no risk option of asking for money on Kickstarter. With their many established networks of contacts in the press and online, they can slap a lot of logos that say “Endorsed by THEM!” “Featured with THEM!” “Approved by THEM!” to help their credibility (rightfully so, as many of these products are great). That’s not the case with me. I am a prime example of a startup starting from nowhere. I CAN NOT MAKE THIS HAPPEN WITHOUT YOU! I have read horror stories (I won’t name names) of other crowdfunding campaigns that get funded, and the donors end up waiting months or YEARS longer than promised to get their rewards, or don’t get them at all! AND, sometimes they don’t get their money back! I GUARANTEE THAT WILL NOT HAPPEN WITH ME! 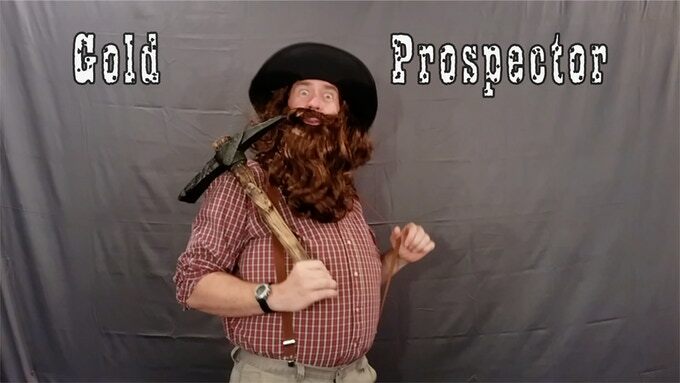 I don’t know if I’m much of a talented businessman, but I DO KNOW that my word is as good as gold. Without it, I really have nothing. I have put my word and reputation on the line with every friend, family member, and acquaintance I could find. If I don’t follow through on my promises, I’ll never be trusted by anyone ever again (rightfully so). I made sure I had all my ducks in a row before I started this. I have all the means of supplies and manufacturing ready to go. It’s as simple as flipping a switch and giving the green light. But I CAN’T DO IT WITHOUT YOUR HELP. I’m committed to making things happen.